Last Sunday, the match of the 24th round of OK LLiga was played in Lleida. 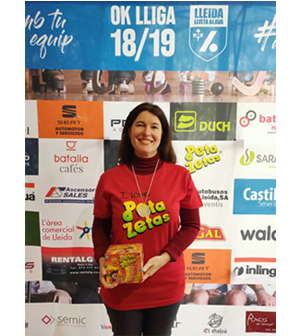 It was a match between Club Hockey Caldes and Lleida Llista Blava, this last one sponsored by Peta Zetas®. 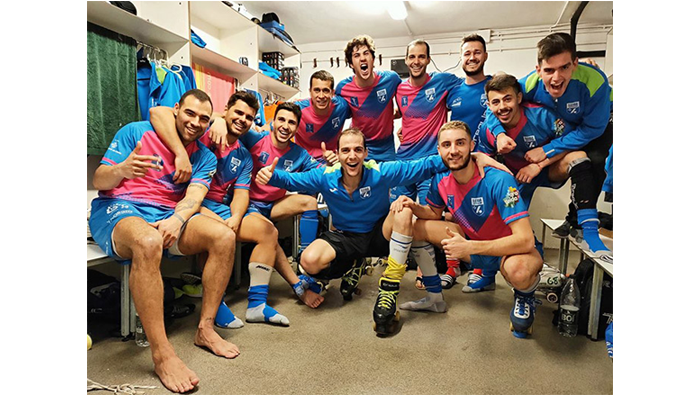 The Lleida Llista beat Caldes 6-2, giving new energy to the team after the last two defeats, and offering a great game to the fans. It was an intense, brave and fast game from the first to the last minute. Thanks to this, they reached the sixth place in the classification. During the break, Peta Zetas® made a raffle among the public. 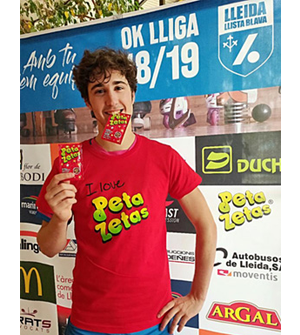 In the photo on the left we see the winner of the shirt and a Peta Zetas® case. Zeta Espacial wants to make special mention of the role of the player Roberto di Benedetto, in the photo on the right, who made a hat-trick and placed the last two goals of the game.